Nigerian Christian leaders and advocacy groups like Save The Persecuted Christians have repeatedly urged President Donald Trump to intervene and help bring an end to the attacks, specifically by appointing a U.S. special envoy to Nigeria. 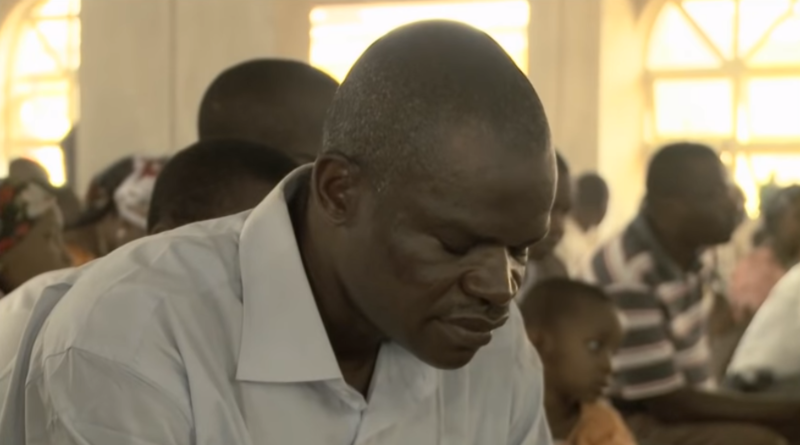 Father Peter John Wumbadi, who leads St. Anne’s Catholic Church in Michika and witnessed Boko Haram’s March 18 attack on the village, also pleaded for help, claiming Nigerian government sources spread misinformation about the attacks. “I appeal to President Trump to be proactive in urging our country’s government to alleviate the Boko Haram problem. That means to listen to the masses who are at the level where the violence is happening. Because most of the time there is not enough sincere information coming from the government,” Wumbadi said, according to Washington Examiner. The jihadist group also invaded the village of Michika on March 18 before the military drove them back. Boko Haram raided Gatamwarwa ward in Borno state Thursday, burning several homes. Local authorities have yet to confirm the number of casualties. Boko Haram has killed approximately 30,000 Nigerians since beginning its campaign in 2009 and has continued to target Nigerian Christians and those it views as false Muslims as part of its jihadist agenda. It has also waged attacks in Niger, Chad and Cameroon. Muslim Fulani militants, however, are responsible for the majority of recent attacks on Nigerian Christian villages, which have come at a near constant rate. Muslim Fulani militants killed 52 Christians and burned at least 100 homes in villages in the Maro district of the Kajuru Local Government Area in Kaduna state March 11, according to Christian Post. Witnesses reported the Fulani attacked in three groups — one setting fire to homes, another shooting villagers, and another designated to chase down those who tried to flee. The Fulani also murdered nine Christians in isolated attacks in Ungwan Barde village in Kajuru on Feb. 9, killed 10 more in a coordinated attack on the village the following day, and killed 17 in yet another attack on the village March 10. Fulani militants also waged coordinated attacks on three villages in Benue state March 4, killing 23 Christian villagers with guns and machetes, and slaughtered approximately 32 in a Feb. 28 attack in Kaduna state. In addition to the surge in Muslim Fulani violence against Christians, El-Rufai has refused to release the nine chiefs and elders of the Adara people in Kaduna whom he had arrested after making his reportedly spurious claim about the murder of Fulani tribesmen. Mervyn Thomas, Chief Executive of a U.N.-recognized NGO called Christian Solidarity Worldwide, condemned the recent surge in Islamic militant violence against Nigerian Christians, saying it represented a failure of Nigeria’s government. He urged the release of the Adara elders and called for immediate government intervention. We pray that God would rescue our brothers and sisters in Nigeria from those who seek to kill them. We pray that God will give the Nigerian Christians boldness to love God in the face of this intense persecution. We pray for an end to the slaughter, and that the Nigerian government to do its God-given job of punishing the violent and protecting the innocent. We ask for justice, God.